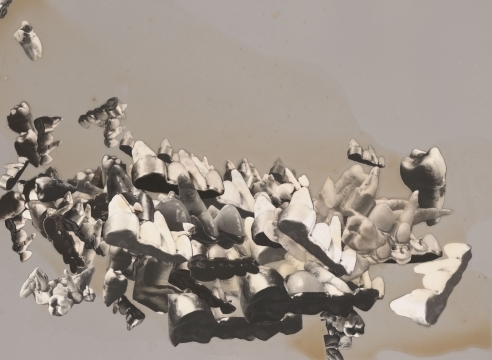 Jay Defeo (1929–89) has been nominated for 'Artist of the Year' by the Rob Pruitt at Awards 2013. "At the outset of her career in the 1950s, DeFeo was at the center of a vibrant community of Beat artists, poets, and musicians in San Francisco. Although she is best known for her monumental painting The Rose (1958–66, now in the Whitney’s collection), which she spent eight years making and which later languished hidden behind a wall for two decades, DeFeo created an astoundingly diverse range of works spanning four decades. Her unconventional approach to materials and intensive, physical process make DeFeo a unique figure in postwar American art who defies easy categorization." The entire breadth of her work appeared in a recent retrospective at the Whitney Museum of American Art, the latter text is taken from this exhibition. Jack Goldstein (1945 - 2003) has been nominated by the Rob Pruitt Art Awards 2013 for 'Best Solo Show of the Year, Museum.' Jack Goldstein x 10,000 was the Canadian-born artist's first American retrospective, bringing to light his important legacy. This comprehensive exhibition framed Goldstein as a central figure of the Pictures Generation of the 1970s and 1980s and showcased his influential paintings and films, while also including installations, writings, and pioneering sound recordings. 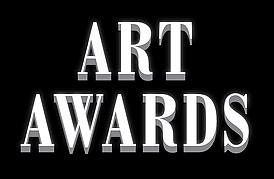 Virginia Overton has been nominated for 'Best Solo Show of the Year, Gallery.' 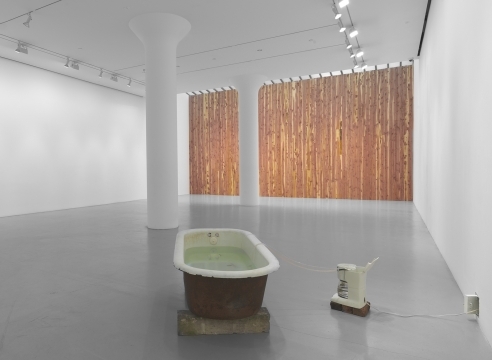 The nominated show was Mitchell-Innes & Nash's first solo exhibition of Virginia Overton, which was on view in the Chelsea gallery from March 1 – April 6, 2013. The exhibition engaged the gallery architecture using lumber from trees harvested from Overton’s family farm in Tennessee.